WiFi while traveling is more important to people than the actual accommodations now. Not knowing what service you are connected to at home or abroad is not an option any longer. Goodspeed has fixed these and many more concerns with an affordable and solid mobile hotspot. Personal hotspot technology on smartphones is a good idea while you are traveling domestically, but go outside to even a neighboring country and roaming fees could cost more than the phone itself is worth. The integrated 3220mAh battery is good for nearly a full day’s use, 12 continuous hours is typical. It comes with seven days of standby time and charges in about three hours. That is where Goodspeed has upgraded their technology and experience with a ZTE device about the same size as their 3.5G hotspot, from a few years ago. 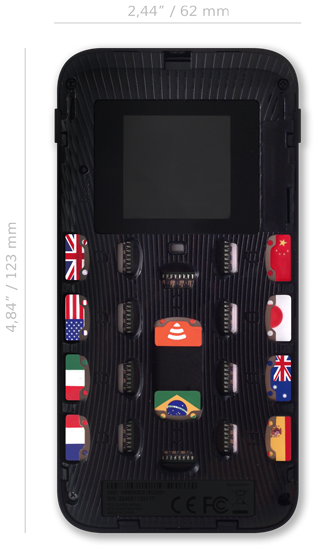 It has 10 micro SIM card slots, one used for a control SIM and one is open for a personal data SIM. For connectivity, the hotspot provides 802.11b/g/n in 2.4GHz and 5GHz. The 5GHz band is good to cut through localized WiFi noise when there are a few hotspots online. It can handle up to 15 devices, 14 via WiFi and one on USB. Performance from the Goodspeed hotspot via 4G LTE (LTE-FDD) is rated up to 150Mbps down and 50Mbps up with category 4 technology. While using 4G LTE (LTE-TDD), it can connect up to 110+Mbps down and 11+Mbps up, also using category 4 technology. Finally, the DC-HSPA+ connection is rated for 42Mbps down and 5.76Mbps up. If 4G technology is not available in the country being visited, it can connect to 3G and offers a fallback of 2G. I used the hotspot in several countries while on a recent trip to Japan. I was able to get a secure connection stable enough to use in Tokyo, Chiba, Shinjuku, Dubai, Los Angeles and Las Vegas. The only time I was not able to get the device to register a connection was in Singapore, even though it was activated prior to my arrival. Thankfully, the new 4G LTE-enabled Goodspeed hotspot works as easily as their version. I tapped and held on the power button and it goes through a series of screens where it scans for the country it is in and then registers on the network with an already included SIM card. Before traveling outside of your country of origin, you will need to visit Goodspeed’s website and let them know where you will be going, so they can acquire the right SIM cards for their hotspot. The hotspot can then be purchased outright for $219 and works in 85 countries. The hotspot has a small but clear LCD screen that shows off its wireless connection signal and if it has any issues with registering on the network. A second button on the right side makes it easy to scroll through alternate windows showing data usage and its wireless security code. Typical data packs per 24 hours go for 250MB at $8.50. It all depends on your needs and budget, though. I found that 250MB per day, in some countries, was enough for light social media and email use. However, while I was attending the Huawei Mobile Is The Future conference in Tokyo, I needed to livestream several announcements. Even though many in the conference were using hotspots, mine delivered a secure and stable connection for hours. One of my livestreams was initially cut short, but I found out later that it was an issue with the broadcasting platform I was using which caused it. I verified my connection was live by visiting several websites. 4G LTE service was fast enough for me to livestream to my tens of thousands of followers online. The stream was utilized by people around the world that are fans of Huawei and journalists that were not able to attend. Dubai was an interesting city to use the hotspot as I had thought it would only be able to pick up a 3G signal. I was pleasantly surprised that it found a 4G LTE signal while riding around in vehicles and inside of several hotel rooms. Just like in the US, it is hit and miss with free WiFi in hotels around the UAE. Control costs, instantly connect locally and have that piece of mind that your WiFi traffic is secure with WPA2 level encryption via Uros’ Goodspeed mobile hotspot. This is where the Goodspeed mobile hotspot shines the most. Insert the SIM cards, activate them on their easy to use web based dashboard and you are ready to roam with enough data for casual web surfing, email and reporting back to family and friends on how your trip is going. It quickly secures a connection very fast for a device carrying many SIM cards. It only took a little over a minute to find a compatible signal. I traveled extensively around the world in 2016 and I am excited to utilize the Goodspeed hotspot in many more countries in 2017. Finding WiFi was a pain in some countries and when I did, it was not secure sans using VPN software. It fixes both problems and will allow its users to leave it on all day. Uros’ (Goodspeed ) is a good deal for anyone who travels out of the country and does not want crazy high bills for data, from their domestic cellular provider. Stop looking for open and insecure WiFi and enjoy where you are traveling. 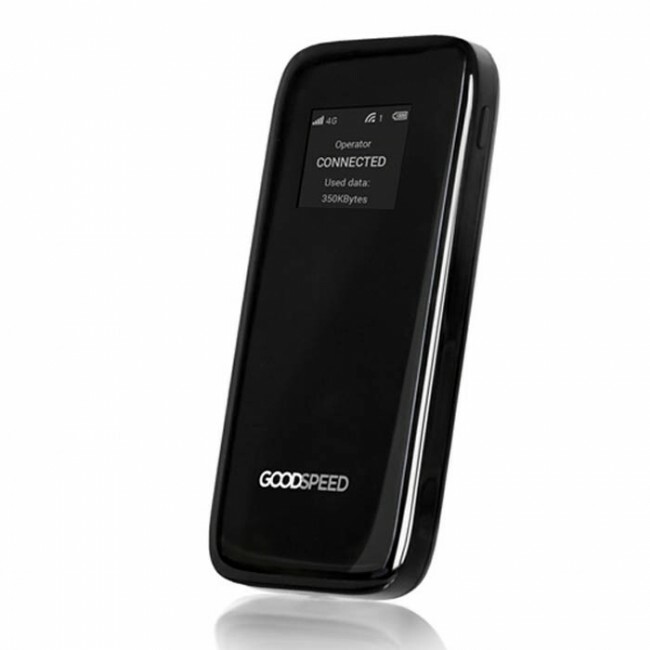 The Goodspeed 4G LTE mobile hotspot has you covered worldwide in an expanding roster of countries. Disclaimer: I was provided a Goodspeed hotspot and cellular connectivity at no cost for review. I was not compensated for this review. All thoughts and opinions are mine. Some photos are courtesy of Uros.